Los Angeles, CA – Zobmondo filed a Lanham Act § 43(a) false advertising lawsuit over the phrase “Justin and Dave’s Original Would You Rather…? Board Game.” Zobmondo asserted that the term “original” falsely connoted that Defendant’s product was first in time. Details here. Defendant Imagination filed a motion to dismiss arguing that Plaintiff was asserting a false designation of authorship claim (i.e. who was the first to come up with the idea for the game) precluded by Dastar Corp. v. Twentieth Century Fox Film Corp., 539 US 23 (2003). In Dastar, the Supreme Court stated that “reading the phrase ‘origin of goods’ in the Lanham Act in accordance with the Act’s common-law foundations (which were not designed to protect originality or creativity), and in light of the copyright and patent laws (which were), we conclude that the phrase refers to the producer of the tangible goods that are offered for sale, and not to the author of any idea, concept, or communication embodied in those goods.” Dastar, 539 U.S. at 37 (italics in original). Los Angeles, CA – Zobmondo Entertainment would rather file a Lanham Act § 43(a) false advertising lawsuit over the term “original” than allow defendant to use the term. 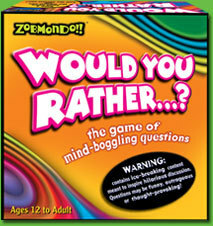 Zobmondo allegedly introduced the first board game in 1998 based on the traditional conversational “would you rather” game. 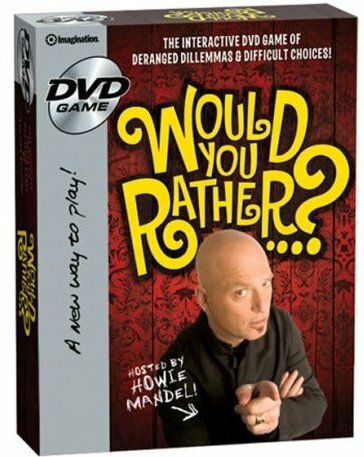 The complaint alleges that in 2004, Justin Heimberg and David Gomberg introduced their own “would you rather…?” board game, which was purchased by Defendant Imagination in 2008. 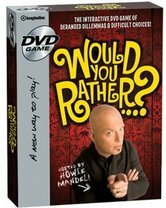 In February 2009, Imagination marketed its new board game entitled “Justin and Dave’s Original Would You Rather…? Board Game.” Plaintiff alleges that by “including the word ‘Original’ in the title of Imagination’s new board game, Imagination is attempting to deceive the public into believing that Imagination’s game is in fact the first board game based on the ‘would you rather’ concept” and that Zombodo’s games were imitations thereof. The case is Zobmondo Entertainment, LLC v. Imagination International Corporation, CV 09-2235 ODW (C.D. Cal. 2009). PRACTICE NOTE: In context, does the term “original” convey first in time? It conveys, at least to me, that it’s the same game which was originally produced by Justin and Dave. See Cumberland Packing Corp. v. Monsanto Co., 32 F. Supp. 2d 561, 582 (E.D.N.Y. 1999) (the term “original” conveyed that the defendant’s product contained the “original” sugar-substitute aspartame-based sweetener, not that it was first in time). Santa Ana, CA – The court denied Surefire’s preliminary injunction motion and silenced its attempt to shoot down Advanced Armament’s silencer advertising. (Motion details blogged here). The court quickly pointed out that the accused advertisement doesn’t make any reference to Surefire and the pictured suppressor is not readily identifiable as a Surefire product. Surefire must be questioning its decision to file a lawsuit that – unlike the advertisement at issue – unequivocally identified its product as the one pictured in the advertisement and brought more attention to it than the advertisement itself. Indeed, Surefire submitted discussions from weapon forums that referenced the lawsuit and the advertisement at issue. The alleged four false statements at issue were: “(1) the SureFire suppressor shown uses spot welds; (2) SureFire’s spot welds are not as strong as the fusion welds used by AAC; (3) SureFire’s spot welds are likely to fail during normal semi-automatic and full-automatic firings; and (4) AAC’s suppressors are more durable than suppressors like the SureFire suppressor shown.” The court determined that the statements were not literally false on their face or by necessary implication because the suppressor cannot be positively identified as Surefire’s. As a result, the court also found that Surefire could not evidence actual injury because the non-comparative statements cause injury to all competitors and “none is more likely to suffer from the offending broadcasts than any other.” Thus, Surefire could not show a likelihood of success on the merits or significant hardship if the preliminary injunction was not granted. The case is SureFire, LLC v. Advanced Armament Corp., SACV 08-1405 DOC (C.D. Cal. 2008). Los Angeles, CA – Medieval Times USA, Inc. unsheathed its sword and commenced a trademark infringement, Lanham Act false advertising, and unfair competition battle against Alcatraz Media, Inc. Since 1983, Medieval Times has operated Medieval-style castles where it hosts dinner tournaments, complete with a king, a princess, and jousting knights. 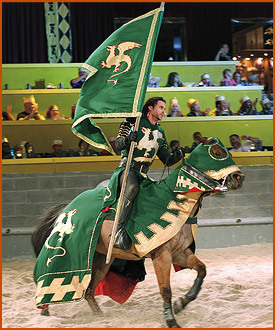 Although the knights nobly protect the castle, Plaintiff has turned to the USPTO to protect its Medieval Times® trademark through registration. Defendant Alcatraz Media is accused of operating numerous websites, including www.medievaltickets.com and www.viptickets.com, which are used to sell tickets to Plaintiffs’ dinner and tournament events. The websites are allegedly designed to confuse consumers into believing they are purchasing tickets directly from Plaintiffs. For example, the websites allegedly have links to separate webpages for each of Plaintiffs’ castles, including images and textual descriptions thereof. Also, the complaint accuses Defendants of advertising tickets for Plaintiff’s events at artificially inflated prices, and then providing artificial “discounts” from the inflated prices. Including the discount, Plaintiffs allege that consumers are charged more than they would have been charged by Plaintiffs for the same tickets. As a result, Plaintiffs allege that irate customers have demanded – and received from Plaintiffs – refunds after attending the show and realizing they were overcharged. Further, Plaintiffs contend that consumers were sold “upgrades” by Defendants without Plaintiffs’ knowledge or receipt of payment, which Plaintiffs were forced to honor. Additionally, when Defendants no longer have tickets to Plaintiffs’ shows, they have allegedly falsely advertised that the shows were “sold out,” even though tickets were directly available from Plaintiffs. Plaintiffs allege that Defendants know that their conduct is unlawful because they were found liable in a civil action entitled Maid of the Mist Corporation v. Alcatraz Media, LLC, 06-CV-714 ODE (N.D. Ga. 2006), involving Defendants’ similar misconduct. Order available here. Santa Ana, CA – Gun suppressor manufacturer SureFire, LLC filed a false advertising lawsuit, in the Central District of California (Santa Ana Division), against Advanced Armament Corp. (“AAC”), details blogged here. Returning fire, AAC then filed its own false advertising counterclaim (copy available here) alleging that SureFire’s representation that its suppressors could withstand the continuous firing of 1,5000 rounds without failure is false and no tests were conducted to support the statements. Allegedly on December 23, 2008, AAC agreed not to run its advertisement in exchange for SureFire’s agreement not to seek preliminary injunctive relief. AAC also allegedly agreed to provide SureFire’s counsel with copies of modifications to the advertisement for approval prior to publication. But AAC began running a modified version of the allegedly offensive advertisement without seeking SureFire’s prior approval. As a result, SureFire filed an application for preliminary injunction to prevent publication of the modified version of the advertisement. (Preliminary injunction application is available here). The modified advertisement contains the same pictures, but includes a statement in “fine print…that the SureFire suppressor was ‘FIRED 580 ROUNDS’ and that the AAC suppressor is ‘UNFINISHED/UNFIRED. '” SureFire contends that its suppressor must have been fired more than 580 times and appears to have been both abused and physically manipulated to create the false impression that it suffered a massive structural failure during normal use.” SureFire also asserts “the claim that SureFire’s suppressors use spot-welds is literally false,” as are claims regarding the strength of AAC’s welds compared to those used by SureFire. SureFire uses a series of redundant “tack” welds – which uses molten filler to strongly join seams between metal pieces – and not the weaker “spot” welds – where pressure and a strong electric current effectively melts two overlapping pieces of metal together at the “spot” of application. The AAC suppressor is produced by “fusion” welds, which do not use metal filler but draw metal from the two parts being joined together. According to SureFIre, “fusion” welds are generally weaker than “tack” welds, thereby rendering false AAC’s claims of greater durability. 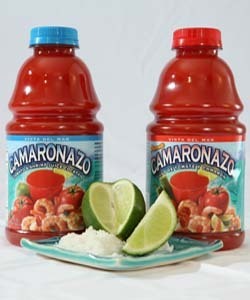 In 2009, Vista became aware that Defendants were selling Clamato brand shrimp tomato cocktail juice with an allegedly similar design and label. Vista also complains that Defendants’ label has the words “The Original” prominently placed thereon. Vista alleges that Defendants’ representatives informed Vista that the Camaronazo was a great idea, and subsequently began selling Defendants’ product in 2008. As a result, Vista claims that “The Original” statement on Defendants’ label “is false and misleading because Defendants’ product is not the original or the first shrimp tomato cocktail juice.” The case is titled Vista Del Mar Food & Beverages, LLC v. Compania Exportadora De Aguas Minerales, S.A. De C.V. and Distribuidora Anahuac, S.A. De C.V., EDCV 09-217 SGL (C.D. Cal. 2009). UPDATE April 15, 2009: Judge denies SureFire’s motion to stop Advanced Armament’s Silencer Advertising. Read details here. 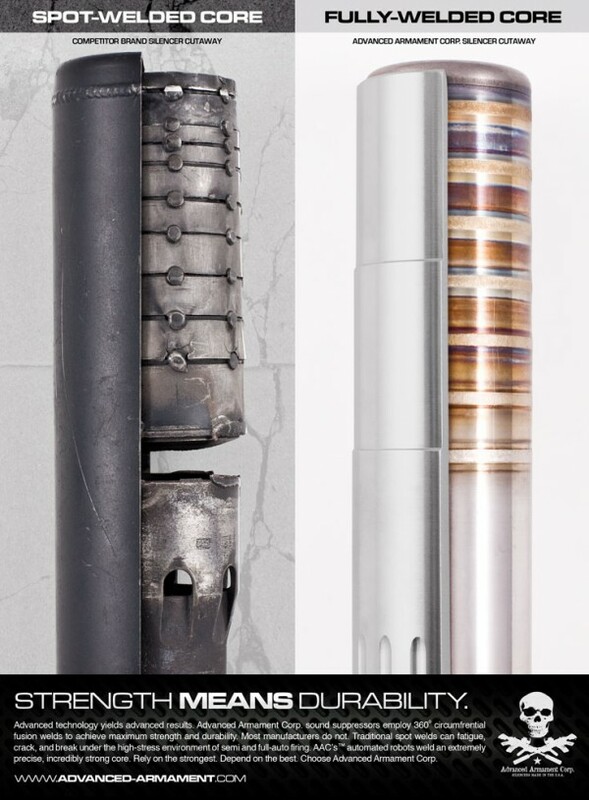 Santa Ana, CA – SureFire, LLC manufactures gun silencers (suppressors) and other related products for use with firearms. SureFire filed a Lanham Act, 15 U.S.C. 1125(a), false advertising claim at the Central District of California (Santa Ana Division) against Advanced Armament Corp. (“AAC”). The lawsuit arises out of a comparative advertisement by AAC which features cutaway views of two side-by-side silencers. The advertisements have allegedly been published in magazines such as Combat Hanguns, Guns & Weapons for Law Enforcement, and Tactical Weapons. Los Angeles, CA –False advertising attorneys for DS Waters of America, Inc. (“DSW”) filed an unfair competition and false advertising complaint at the Federal District Court in Los Angeles, over Nestle Waters’ comparative advertisement of pricing for home/office delivery of water. DSW markets and sells bottled water under its U.S. Patent & Trademark Office registered trademarks of Sparkletts®, Hincley Springs®, and Crystal Springs®. Nestle is a competitor and sells its bottled water under its U.S. Patent & Trademark Office registered trademarks of Arrowhead®, Ice Mountain®, and Zephyr Hills®. The complaint alleges that Nestle’s recent advertising campaign makes inaccurate and misleading price comparisons. The advertisements, published through newspapers and customer proposals, “falsely state that DS Waters’ current price for its 4-bottle monthly delivery service is $32.99/month in Los Angeles and Chicago, and $31.99 in Tampa.” The advertisement is allegedly false because “DS Waters’ 4-bottle monthly delivery service are literally false in that DS Waters’ current price for a 4-bottle monthly water delivery service is $27.99 in the Los Angeles area, $25.99 in the Chicago area, and $28.99 in the Tampa area.” Further, Plaintiff alleges that Nestle’s comparative pricing slogan of “Get More. 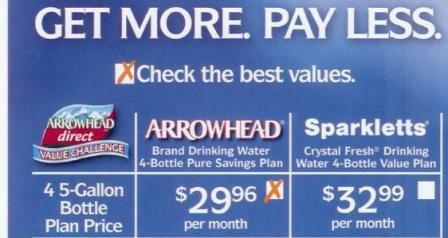 Pay Less for Home Delivery (Sorry, Spakletts®)” is expressly false, impliedly false and/or deceptively misleading. In addition to monetary damages, DSW seeks both preliminary and permanent injunctions and seeks corrective advertising. The case is titled DS Waters Of America, Inc. v. Nestle Waters North America, Inc., CV08-04970 PA (C.D. Cal. 2008).